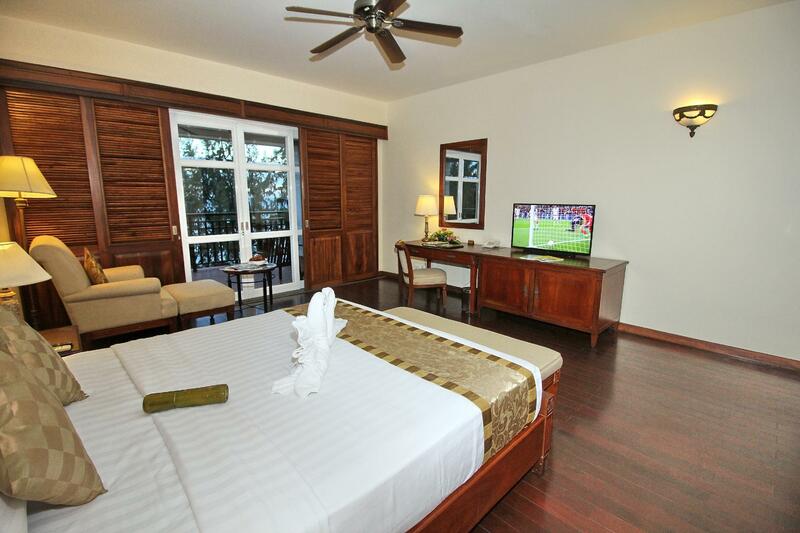 "Very nice and kind service, the room is clean and comfortabl..."
Have a question for Novela Muine Resort & Spa? "Enjoyed the stay in resort." "The room is spacious and clean." With its own private stretch of beach, a poolside bar, and a line up of countless 4-star facilities, there is no better place to vacation than at the Novela Muine Resort & Spa. 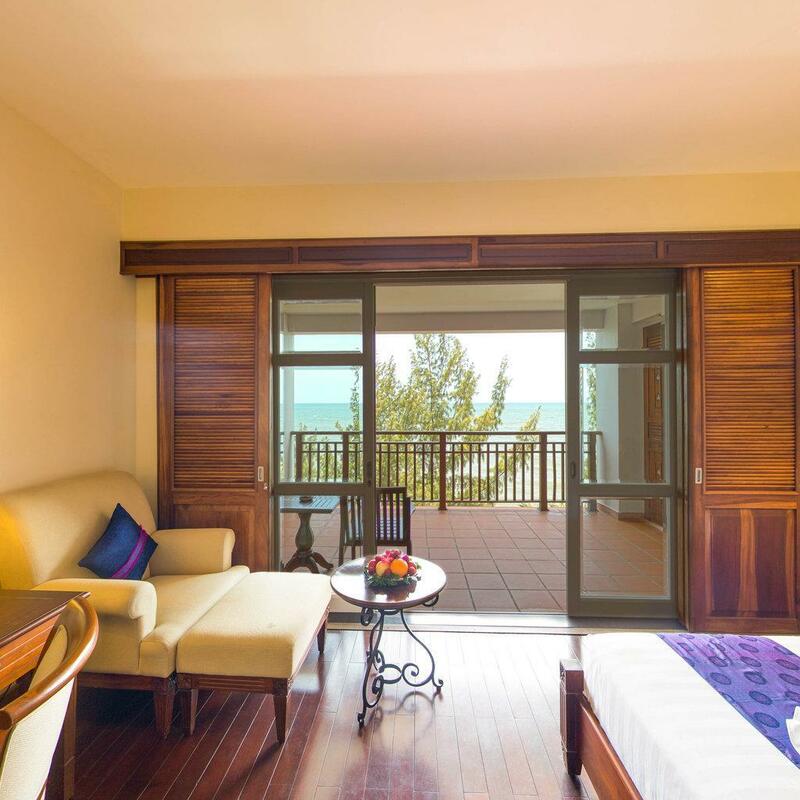 This elegant property is set in the beautiful beach town of Muine, approximately 13km from Phan Thiet City and 8km from Red Sand Hill. 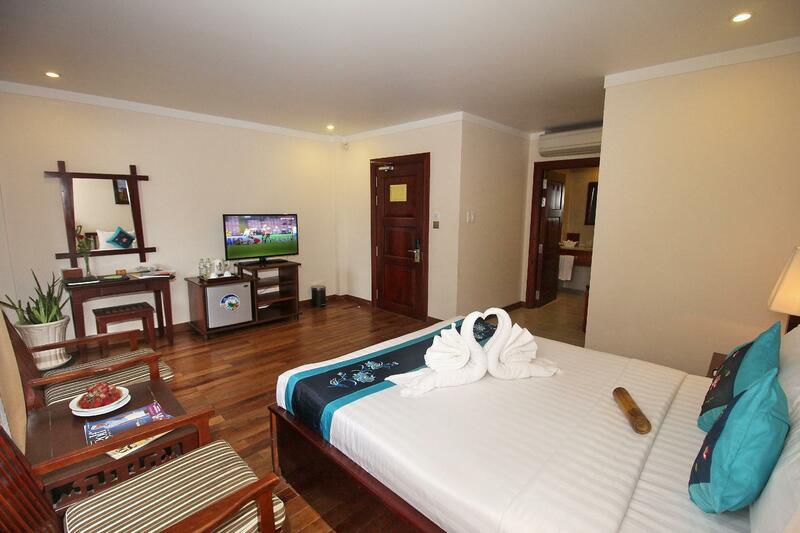 Catering to both tourists and business personal, the property boasts stunning rooms and excellence in services. The 75 guestrooms are adorned with nautical-themed furniture and decors to set the mood for a truly tropical experience. Facilities range from an outdoor swimming pool, spa facilities, and Jacuzzi tub to a wide array of water sports at the hotel's own private beach. The on-site restaurant located by the pool is an excellent venue to sit back and relax with your favorite drink or to sample excellent Asian and European cuisine from one of the best seats on the property. For an unforgettable vacation in Muine, make Novela Muine Resort & Spa your lodging choice. "The rooms are spacious, the aircon is fresh." Though not was welcomed with drink as other resort (reception were busy with a group of check-in students), my check in is smooth after that with the apology from reception. I was escorted by a security to Deluxe room on 3rd floor (room 321 as I remember). My room is not too big or small with a balcony facing to the sea. Just stay in this room for 3 nights and then I moved to lower floor so as not have to use lift to go up and down. After few days stay, staff remember me and I do not have to present breakfast coupon any more. I was really impressive with a man at the bar, he is always smile and ask me if I can sleep well? how my breakfast is... It make hotel more value with dollar I paid for a room here. Breakfast is not so delicious but menu changed daily and I love their Vietnamese noodle soup. Swimming pool is not too big but it is acceptable and it is the place I relaxed after long working day. This hotel is not great option for beach but you can swim on beach in early morning when the tide is not too high. Finally, I am happy with the quality of room and service, it is valuable for the price I paid. Will stay here again when I travel to Phan Thiet, Mui Ne. Thank Novela staffs! Location, the rooms with sea views and the staff. Still smiling from my stay here. Only complaint would be this area of Mui Ne has very little sand area for beach. My room was spacious, spotlessly clean and had all the mod cons. The large verandah overlooking the ocean was a plus. There is a large pool area, access to the ocean and a large spa area on the other side. Above the restaurant there are 2 undercover areas...one a pool room and the other a library where one can relax, read a book and take in the views. Restaurant is large with good menu choice & good food....live music at night & the staff a pleasure to deal with. Worth going back to. My stay was perfect. The breakfast was good, the rooms were clean, sleep was good. I wish I could stay longer. Will definitely come back and stay here and will bring my folks with me. Am really glad I chose this hotel. In order....the friendly helpful staff, my room and the feeling of peace and relaxation in all areas of the resort. One of the best I have had in many trips to Vietnam. From check in to check out perfect for my break from travelling. Loved my room with balcony overlooking the beach, the food, the staff who were amazing.....everything including the in house Phillipina band who catered to all ages. Fabulous......In the words of the terminator...." I'll be back." The rooms are spacious, the aircon is fresh. We got "upgraded" to a more expensive room for free. There are nice beach chairs at the swimming pool area and the area looking out to the beach. However, the Wifi doesnt reach some parts of the room, and it does take a bit of patience to communicate with the staff due to language barriers. 4 nights stay with my wife and boy. It's my 2nd time, and last time was 6-year ago. Novela's beach is much wider than others'. 2 pools are my boy's favorite, and just 1 step to the beach. Good seaview. Good location, minutes walking for foods and drinks nearby. Friendly staff. The location of Novella Mui Ne beside the beach is excellent . Also the pool & water facilities adjoining the beach is wonderful. The hotel is clean & well maintained & the large top floor room was wonderful with a magnificent balcony. The breakfast was nice in an open al fresco area between the road & the pool. Better staff training focussed more on the customer would take it from a comfortable 4 star hotel to a desirable 4 or 5 star location! Well this is our fourth time here this must speak for itself yes we have tried a number of places but keep coming back here what more do you you want the hotel has everything one needs when they clean the room they really clean the room they have a large swimming pool (not like the sardine tin ones At Shades and Ananda)They have a full buffet breakfast not like some of the other resorts that have eggs and eggs. The staff are great and there are many restaurants nearby. My family love this place and will return again next year. This was a beautiful hotel right on the beach. Our room was ~90 square metres and contained a large spa bath with sea view & separate shower. 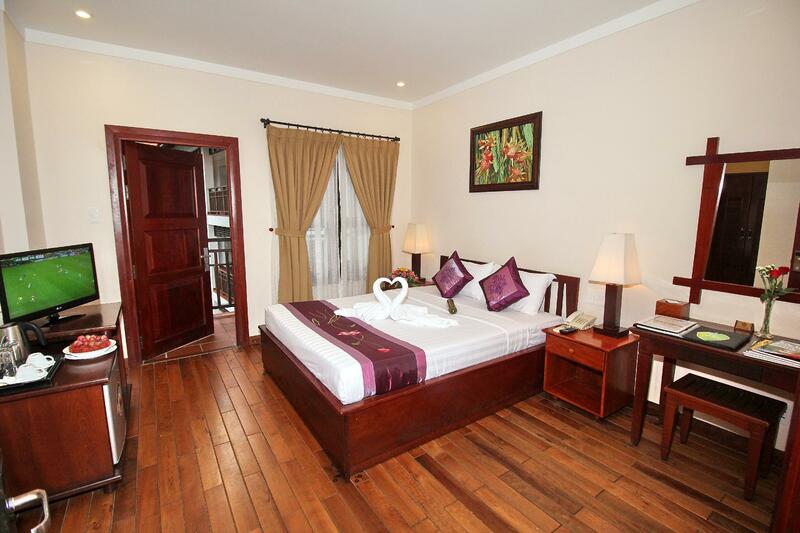 Comfortable king sized bed and sitting area, with a large balcony 10m from the beach. Nice pool and private seating on the beach. The food was good (US$30 for good evening meal with drinks), but the Vietnamese Home restaurant just along the road was half the price and as good. The staff's English was limited, and it seemed Russian was the second language, as the majority at the hotel were from Russia. The kitchen was not very helpful with my wife's gluten allergy, but apart from that, the staff were helpful and attentive. There are lots of reasonably priced massage places around the hotel. The Red & White Sand Dune tour is recommended - we bargained this down to US$25, although with just a driver and no commentary. On this tour you need to pay extra for the quad bike ride on the dunes (~ US$15 - again you need to bargain). The hotel was well designed for room, pools and gardens, except random stairs around the place not conducive to wheeled bags. No business centre as listed on - the best staff could do was receive an email to print. Good wifi in room and in public areas. Buffet breakfast was fine with a moderate selection, with the exception of the coffee and teas which were both atrocious. Live music at night was good - well done to Tres Amigos. Many families with children mean kid sounds and squeals early in the morning. Staff were friendly, but at times would huddle and chat as opposed to serve. I will return as a good price for a good hotel. Me and 2 friends stayed here for 3 nights. They have nice clean big rooms. The bathrooms are big too. Breakfast buffet is near the pool. You can always choose the table with the full pool view. The only thing we don't like is the beach. You cant really swim there because of the wild waves crushing to the cemented stair-like sea wall. i was staying during the new year party. i ordered the airport pick up using the front desk. my room was upgrated to luxory one. live music in the restaurant, alcohol drinks for free during the party. beach is too small, but not crowded. nice service. kiters clubs near by. i really enjoyed very much. i'm planing to come back soon. very nice rooms with great decoration but "hill view" means in fact "road view". it is 20 meters from road and vietnamese like to use the horn. it can be a bit noisy if you have problems to sleep. nevertheless, was not a problem for me. restaurant around swimming pool is very nice. breakfast very good. Great rooms, fantastic views, and a wonderful pool. the novela is a great hotel, i was actually upgraded to a deluxe room because they were out of the superior sea view i had booked. the view was fantastic in either case and the restaurant and pool are wonderful as well. Very nice rooms. 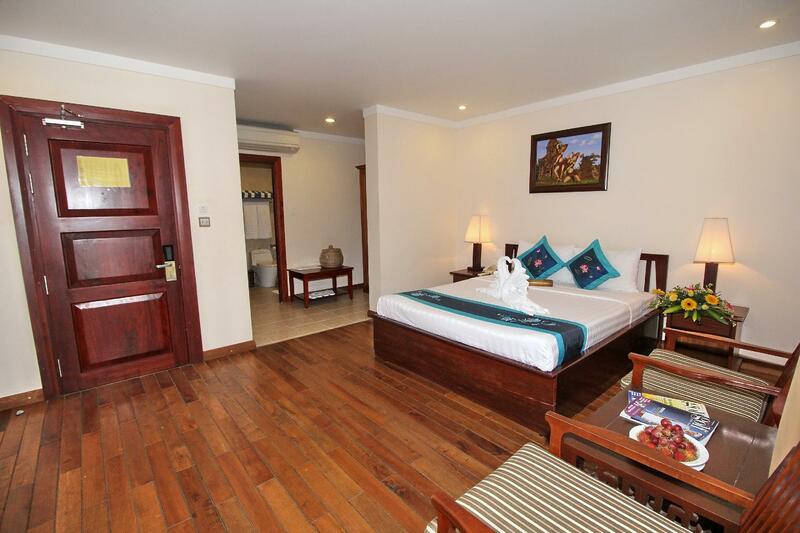 The location is good, because all of the hotels of Mui Ne are located near the same road that is about 15 km long. Novela is located at the place where you can find a lot of restaurants and tourist offices etc. At Novela there are a lot of russian tourists, as in the whole of Mui Ne. The staff is very, very kind and helpful. Live music every night (good show), that ends at 11 PM (might disturb some rooms). Great pool! Beach 10 meters from the pool. we arrived early, short wait at the bar. the front desk work fast to get us in the room early than normal which is nice. the room is clean and well prepare. we only stay for 1 night and wish we could stay longer. great staffs at front desk and dinning area. The hotel was right on the beach, unfortunately the first 2 days it rained really hard but the last 2 days were sunny and we were able to enjoy the pool. Breakfast was excellent and cooked to your order. Our room was large with all the amenities and overlooked the gardens and ocean. The resort was amazing. Room was amazing with sea view. Very romantic. Staff were very helpful. Meals in restaurants were great quality and quantity. Very happy with our stay. Luxury resort all the way. I have had the best hotel experiences so far. I enjoyed the swimming pool and my room. Great location to explore Mui Ne Highly recommended to everyone.